I had the bright idea this morning to drive down to the shoreline expecting to see my first Great Egret and Glossy Ibis of the year. 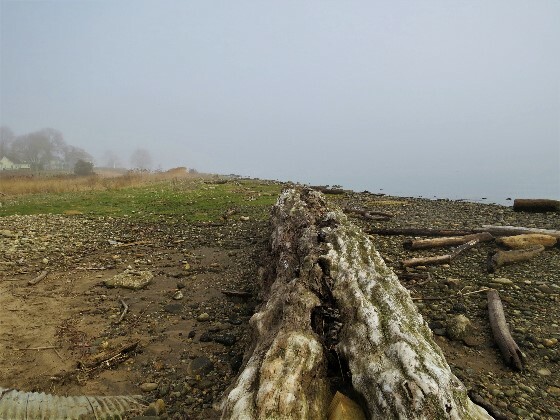 What I hadn't anticipated was that the entire shoreline would be blanketed with fog. I can appreciate a little fog at a rock concert or if I'm watching a scary movie but not when I'm birding. The top photo really doesn't reflect the true color. I just became so bored with seeing fog that I decided to put a color filter on it. Slooowly the fog started to recede from the land until it was mostly over the water. 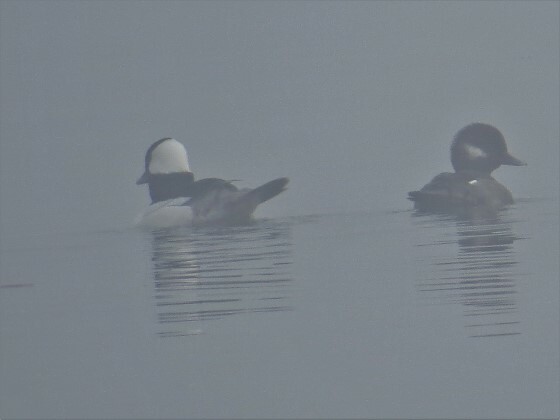 I took a test photo of a pair of Bufflehead but it seems they couldn't even find each other. Finally I found a relatively fog free zone. 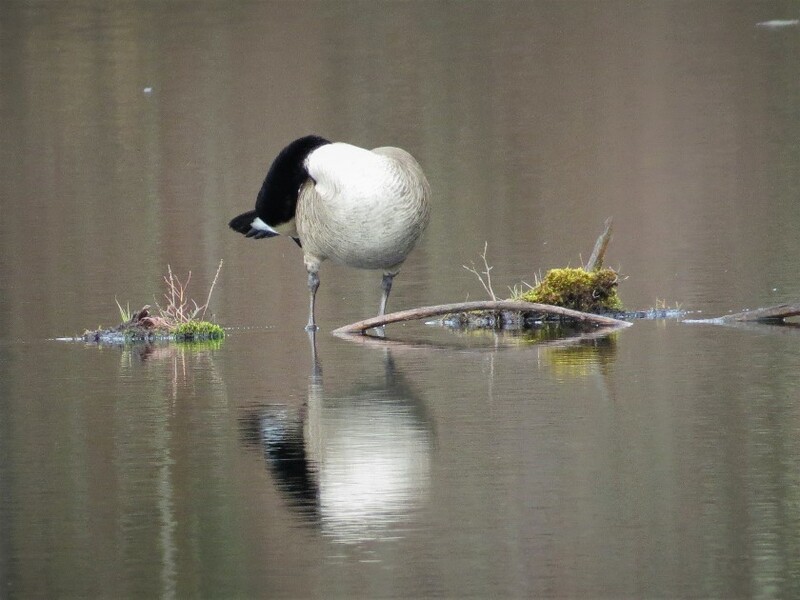 I was so enthusiastic that I took a photo of a Canada Goose who unfortunately seemed to have his head up....never mind. 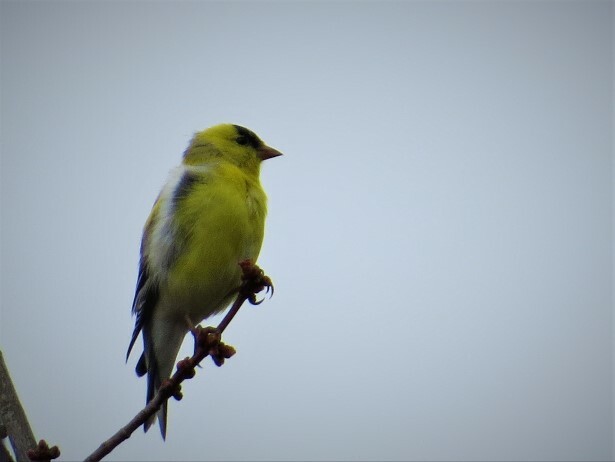 This male American Goldfinch made a good effort to change his winter coast but has a little bit of work to go yet. 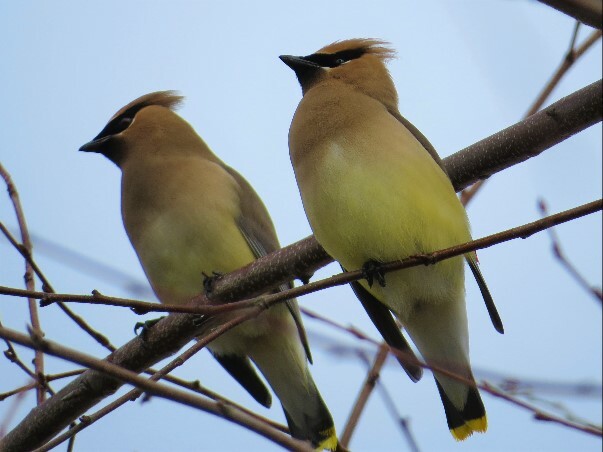 Waxwings usually seem to hang around for pictures, probably because they're drunk on berries half the time. I finally got to see my first egret. 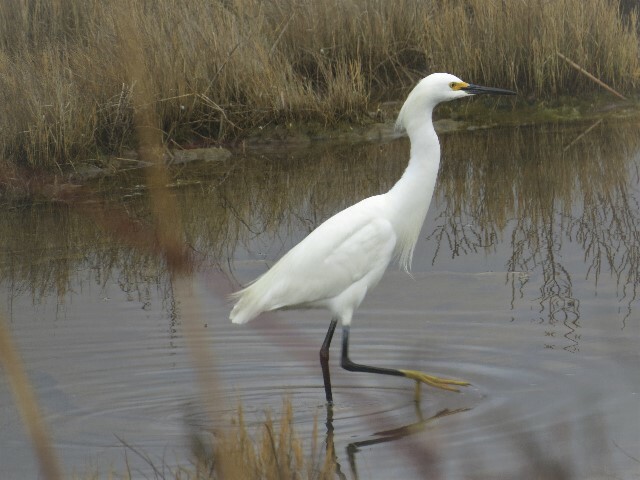 it turned out to be a Snowy Egret (black bill-yellow feet) instead of the Great Egret. So the fog may have slowed things down a little bit but in the end it was all worth it. Nice! I was out in the fog yesterday but I was on a long drive and would have had more fun just cruising around looking for wild flowers and scenery. We had a pair of purple finches hanging around our porch for a while but they've moved on. 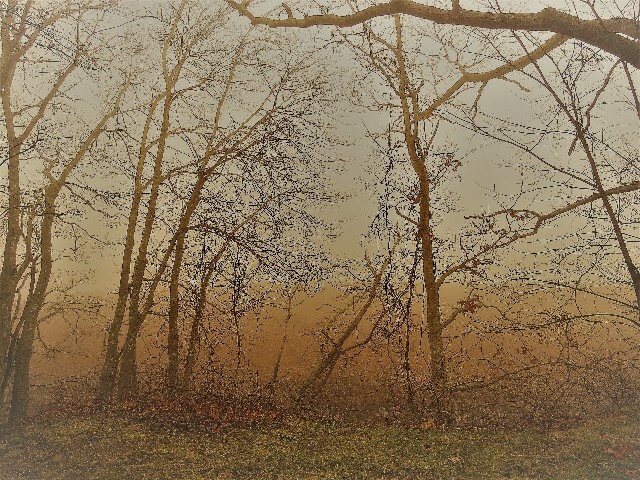 I like the fog pictures and we just got our Goldfinches back today here. Wonderful photos and I hope you are having a wonderful Easter also. Red in The Morning Sailors Take Warning!